At Coburg Dental Group we understand a visit to the dentist can sometimes cause anxiety. That’s why we are committed to providing you with a clear, caring and informed experience throughout your dental treatments. We offer comprehensive family dentistry services for you and your loved ones, ensuring all your needs are met in one place. Children’s dentistry is a key area of interest in our family dentistry clinic. We strive to improve our practice and to meet and exceed the needs and expectations of our patients and their families. In light of this, we are pleased to announce the ongoing commitment of dentist Matthew Siebel and Dental Therapist Sue Kluken. Dental therapists are central to Coburg Dental Group’s paediatric dentistry team. We are committed to improving and expanding the services that are available to you. A dental therapist provides treatment to sensitive patients. They are trained and experienced in treating the special needs of children and young adults aged between 1 and 25 years old. Children often present with anxiety and this is perfectly natural. A dental therapist begins by familiarising the children with the dental environment. Talking through and explaining procedures and equipment helps children feel at ease. The dental therapist will spend time with a patient to identify particular needs and concerns and provide solutions. 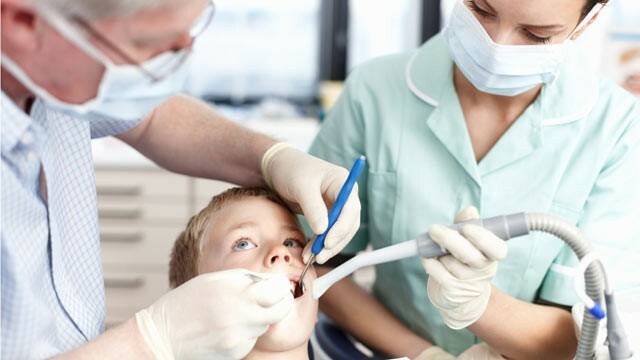 In consultation with a dentist, a dental therapist can examine and treat diseases of the teeth in preschool, primary and secondary school children, and young adults up to and including age 25. Our dental therapists are committed to the education and motivation of children towards self-responsibility for their oral health. A dental therapist can work one to one in a family clinic, or in a classroom setting through an oral health education program. We can also assist in educating the community in the principles of preventive dentistry. Dental therapists can address a range of adult audiences, such as parent groups, play groups and parents and citizen associations. Just call us on 93861805 to book a visit to your group or school. For paediatric dental evaluations and procedures or for any other enquiries, contact us today. We are happy to attend to all questions and concerns you may have.